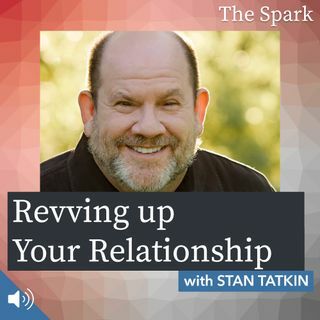 “Relationships are difficult,” begins Dr. Stan Tatkin in his 2016 TED Talk. However, as you will see… they are not impossible; in fact, being in a relationship with another human being and becoming on expert on each other, is actually one of the most rewarding things in life. There is hope – whether you are needing the tools to tune up and repair some of the current ruptures in your relationship, or want to take a good relationship to great, Stan Tatkin helps show us the way through the ... See More shallows of dating, all the way through to the “I do” and how to navigate the deeper waters. Learning how to take care of ourselves through loving one another is a meaningful practice which brings about a new fulfillment, and richer life where the rewards are a revved up relationship that will thrive far into the future. Stan Tatkin, PsyD, MFT, is a clinician, teacher, and developer of A Psychobiological Approach to Couple Therapy® (PACT). He has a clinical practice in Calabasas, CA, where he has specialized for the last 15 years in working with couples and individuals who wish to be in relationships. He and his wife, Tracey Boldemann-Tatkin, developed the PACT Institute for the purpose of training other psychotherapists to use this method in their clinical practice.